Welcome to Mormon-Blog.com where you can find information from members of The Church of Jesus Christ of Latter-day Saints, also referred to as the “The Church of Jesus Christ, “LDS (Latter-day Saint) Church”, and also referred to by many, although incorrectly, as the Mormon Church. This Mormon Blog website is not an official website of The Church of Jesus Christ of Latter-day Saints. Rather, it is a personal blog provided by members of the Church in an effort to share information about our faith with those who seek to understand our beliefs. The term “Mormon” comes from an ancient American prophet who is one of many prophets who’s writings are included in a sacred record of scripture known as The Book of Mormon. The Book of Mormon is another testament of Jesus Christ and serves as a companion scripture to The Holy Bible. It draws people nearer to God. Foremost in our faith is our belief in Jesus Christ as the Savior and Redeemer of mankind. Watch this depiction of the life and ministry of the Savior, Jesus Christ, produced by The Church of Jesus Christ of Latter-day Saints. The Atonement and Resurrection of Jesus Christ is what makes Christmas and every other day of our life have hope and meaning. Please enjoy this short video about the Savior and the Easter message. Perhaps one of the more interesting topics to people seeking information about Mormon beliefs is why Mormons (Latter-day Saints) build temples. A key distinguishing feature of the Latter-day Saint faith is the belief in modern-day revelation, to living prophets and apostles. President Henry B. Eyring speaks about Continuing Revelation. Are Mormons Christian? Elder M. Russell Ballard, a member of the Quorum of the Twelve Apostles of The Church of Jesus Christ of Latter-day Saints, addresses the question of whether Mormons are Christian. 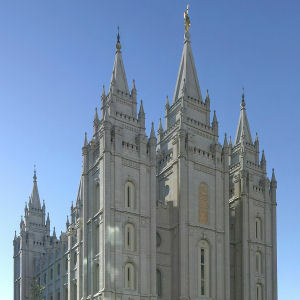 Visit Mormon.org or JesusChrist.lds.org websites for additional information about the Mormon Church and what Mormons believe.